Let’s face it. Not everyone is a wedding person. 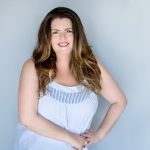 You’re devoted to your lover, don’t want to get married in a courtroom, but also don’t want to make a guest list longer than your grocery list. We get it and you’re not alone. Many couples are feeling this way lately and that’s exactly how the luxury micro wedding was born. Now, it’s trending and a valid option for couples that know they want a smaller, yet unforgettable wedding. First, let’s address what a Micro Wedding is. For elopements, the bride and groom typically would depart for their wedding alone. Micro Weddings still retain some of the traditional aspects of wedding planning. Here are five aspects of a luxury micro wedding that may convince you to send fewer invites. A micro wedding generally would have fifty people tops (usually 20 or less). The couple could decide to invite under ten guests as well, but the biggest difference from a normal wedding is just that, fewer people. Focusing on a smaller guest list means the couple will actually have time to spend with whoever they chose. Big weddings can get intimidating for the brides and grooms who want to see everyone, hug them, dance with them, thank them, take photos with them, etc all with limited time. These weddings tend to be more lax and the overall experience is more intimate between the couple and the people who are special to them. Let’s think of everything you plan ahead of time to give to your guests. It starts with save-the-dates and invitations. Then you have to come up with details like seating cards and place settings for them. Of course then there are favors to give on the way out. Basically, little things add up when you invite more and more guests. It may sound obvious, but it’s important to note. When you’re looking at a list of 175 guests and thinking about cost, time, and effort, it’s a lot more intimidating. Luxury micro weddings don’t have to be a cheap. They just give you a chance to look closer. A smaller amount of everything means you have the ability to be more personal and to give attention to detail. 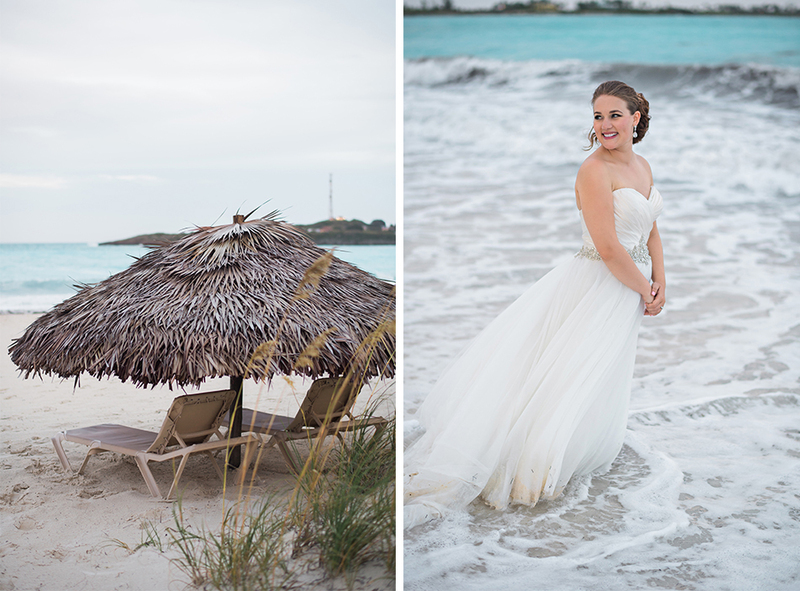 Melissa and Joe pulled out all the stops for their wedding in Bimini Bahamas. Starting with 25 guests, the list quickly rose to about 50 friends and family who they asked to attend! According to history, an elopement is a “secret” wedding where the couple gets married with only the person marrying them, their witnesses, and maybe a photographer. The dreamy destination weddings with some family and maybe friends that we’ve been calling elopements are really micro weddings. There are no secrets here. They’re just smaller wedding days. So, it is common for a couple to travel for their luxury micro wedding, but you don’t have to! A smaller amount of people gives way to more freedom in the venue department. 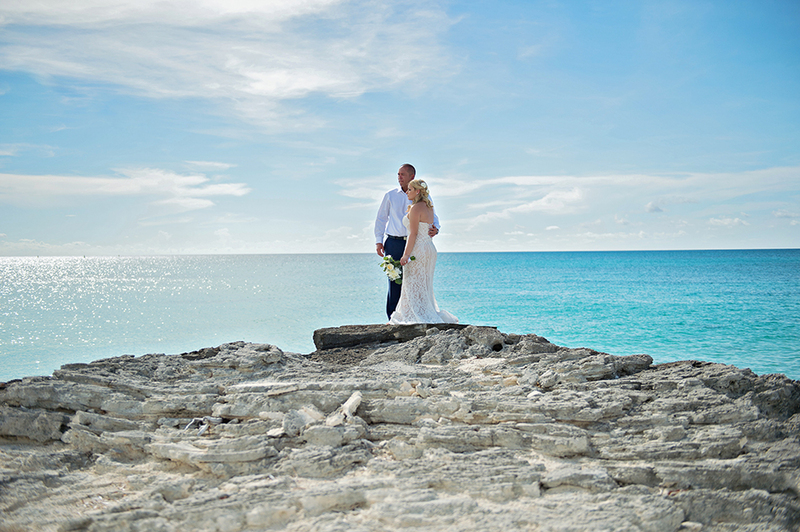 It was initially an elopement for Lauren and Harrison, but in the end, they invited their parents and Harrison’s sister to celebrate with them at Sandals Emerald Bay in The Exumas Bahamas! Make it your own! Have you always dreamed of your favorite well-known chef catering your wedding? Do you want to get married on the side of a cliff with a moody-colored bouquet? Would you love it if guests would all visit your hometown ice cream joint together for a milkshake after the fun? These things become more reasonable with a micro wedding. Amber and Jeremiah traveled from Michigan and chose a small group of friends and family to celebrate with. 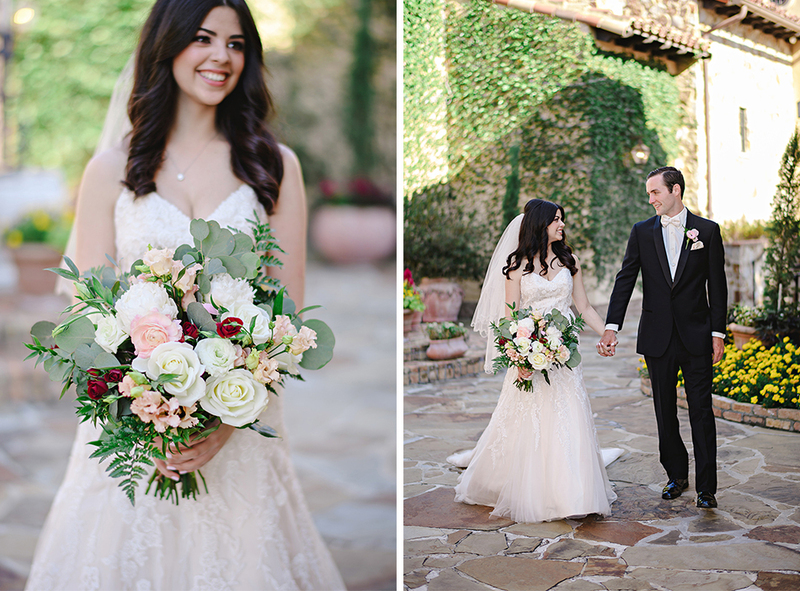 Amber selected a stunning bouquet of wild flowers and roses for her flowers from Bluegrass Chic! Do you want one or not? It’s up to you! Don’t fret about bridesmaids and groomsmen if you’re not into it. Nothing is expected because everyone there is super special to you and will feel that way already because they made the cut! 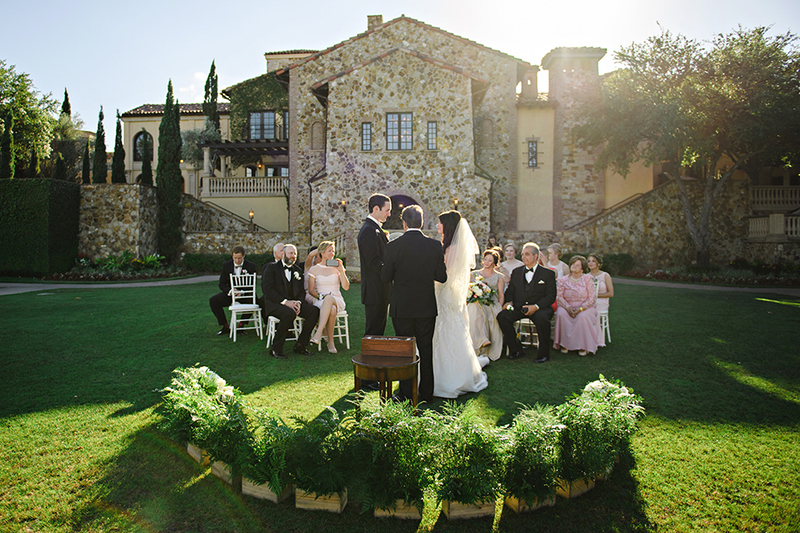 Sharon and Mark traveled from the UK to have their wedding at luxury Orlando venue Bella Collina. 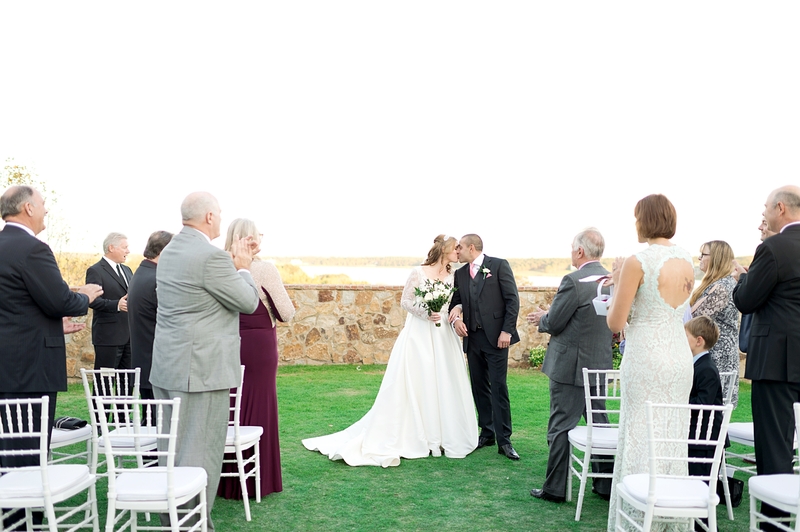 They opted not to have a wedding party, but instead celebrated with their closest loved ones!